Brought to you by TheHotCase. Now that cannabis is legal in Canada, we should all know the laws around cannabis and driving, right? Motor vehicle acts vary from province to province, but here are the top three ways to make sure you (and your stash) make it to your destination safely. 1) Driving impaired by cannabis is illegal. It’s also very dangerous as cannabis slows your reaction time. Slow reaction times increase your chances of being in a collision. 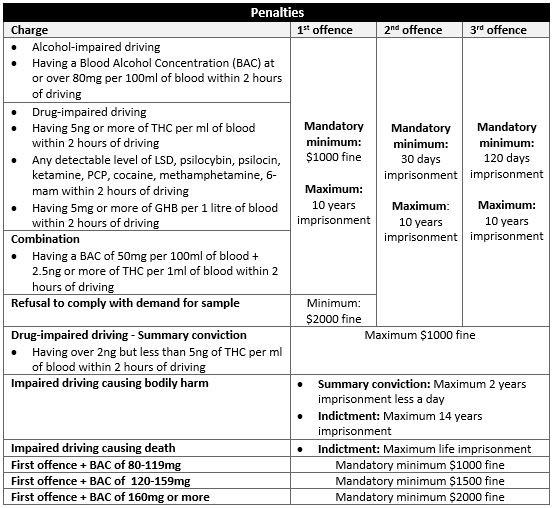 Some of the penalties for driving high include an immediate license suspension, financial penalties, possible criminal record, and even possible jail time. You can check out the full list of charges and penalties here. 2) Ditch the ziplock bag. This past week, RCMP ticketed and fined a driver $230 for operating a vehicle while in possession of cannabis. The driver wasn’t high, but according to West Shore RCMP, there was a strong odour of cannabis coming from the vehicle. They looked at the front seat and "sure enough there was 23 grams of cannabis in a ziplock bag sitting on the front passenger seat," West Shore RCMP stated in a media release. If you are transporting cannabis by car, or even by boat, it must be unopened AND in its original packaging. This means that you have to keep your cannabis in the packaging in order to drive anywhere with it. The only alternative to this is to pack cannabis in baggage that is fastened closed or not readily available to anyone in the vehicle. So you can roll a joint at home and drive to a friend’s house, but only if you throw it in your trunk OR carry it in baggage, like TheHotCase, that can be securely fastened. 3) If you are a young, novice, or a commercial driver, you are not allowed to have any cannabis in your system. This zero tolerance approach is pretty similar to the laws on blood alcohol content. Young drivers are 21 and under. Novice drivers include anyone driving with a learner’s permit (like a G1 or G2 in Ontario). Commercial drivers include those with specialized driver’s licenses for work or anyone that drives a road-building machine.